pcp with andrew jeffrey wrights skull face!, originally uploaded by poketo. PCP likes to stay anonymous. 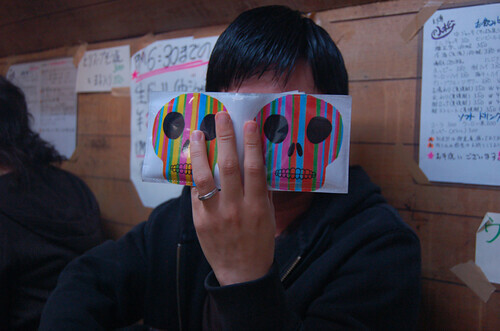 Here he cleverly uses Andrew Jeffrey Wright’s Poketo wallet as a skull face. Angie did it in this picture here too. Wallets with dual use, perfect.